Theresa Villiers, Minister of State for Transport, and not popular within the airline industry, has been overlooked again following a British Cabinet reshuffle announced late Friday afternoon. With incumbent Transport Secretary moved to Defence following the resignation of Liam Fox surprisingly Justine Greening, MP for Putney on the Heathrow flight path, gains the Cabinet position of Transport Minster without any obvious experience in the area. In the past she has opposed T5 and will be seen as a negative appointment by the travel sector who had the feeling that Downing Street was beginning to appreciate that the pro-aviation caucus needed senior government representation. 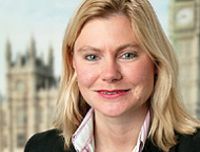 Ms Greening (42), a London Business School MBA, was previously Economic Secretary to the Treasury from May 2010. Travellers to and from Australia should be aware of serious domestic air travel problems, the result of a breakdown of negotiation between Qantas management and the Union representing maintenance engineers. The dispute has become particularly difficult with both sides (being Australia) using colourful language. It is expected that for the next month up to 400 domestic services will be cancelled affecting 60,000 passengers. Government intervention could require the parties to resolve their issues under the umbrella of the Fair Work Act. Union spokesman Peter Somerville said the airline was shifting the blame following Friday's cancellation of any further strike action until after the Qantas AGM on 28 October. A new £45m security area has opened at Gatwick South. Passengers should be able to pass through its confines in under five minutes. With 19 lanes the target is 5,000 people per hour. There are 15 standard access points, two dedicated for families with young children and passengers with reduced mobility, and in what in fairness is no more than a marketing move, two lanes for premium travellers (or what is likely to be called by most people “Fast Track”). Jinan, the provincial capital of East China’s Shandong Province, now has a Hyatt Regency. Situated in a landmark 28-storey tower adjacent to the Wanda Plaza retail hub, the hotel is in close proximity to train stations and the airport, as well as some of Jinan’s most well known tourist attractions, including Baotou Spring, Daming Lake and Thousand Buddha Mountain. Hyatt Regency Jinan offers 343 guestrooms, including 38 suites, created in a contemporary style with unique, localised design elements and high-tech modern amenities. Rooms feature floor-to-ceiling windows, with views over Daming Lake, the surrounding mountains or downtown Jinan. 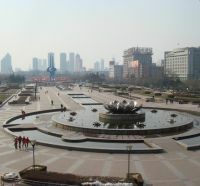 In addition, the hotel features four world-class dining venues: Lobby Bar, a lobby lounge; Market Café, an all-day dining buffet restaurant with show kitchens; Su Yuan, an American-style coffee shop; and Jinan Palace, the hotel’s signature Chinese restaurant, serving Shandongnese and Cantonese cuisines. Called TripShake, KLM has introduced an App which offers iPhone and Android users a fun way to explore the many possibilities for their next air journey. By just shaking their phone, a KLM destination will pop up, along with a ticket price. On KLM.com, customers can find travel inspiration in KLM’s Destination Guide. 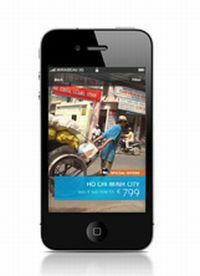 As part of KLM’s multi-channel strategy, the TripShake App now offers the option to explore future destinations via a mobile phone, where and when it suits the user. The KLM TripShake App gives the option to select a continent and travel date, or all options can also remain open. By shaking the phone, one of over 100 destinations will appear. For more suggestions, users can shake the phone again and again, until the perfect destination has been found. Along with the destination, the lowest fare for a return flight will show. The outcome can be shared on social media or the flight can immediately be booked. Following the success of last week’s Routes airline conference in Berlin, Abu Dhabi will play host to the 2012 event, 30 September through 3 October. This is the first time Routes has returned to a host city, having previously been held in 1996 in the region. Abu Dhabi was also named airport of the year at the Berlin Networking Evening which took place at the site of the new Berlin Brandenburg Airport Willy Brandt, nine months before the new airport for Germany’s capital region is due to open. Budapest Airport was announced as the winner from the European region, with Los Angeles honoured from the Americas region. From the Africa region Accra International Airport (Ghana) was ranked top whilst the Asia Region saw top honours going to Abu Dhabi. Winners of the two newest World Routes Awards were AirAsia X for best network performance by an airline and Malta Tourism Authority in the tourism category. AERBT readers should be very careful when booking rail tickets through thetrainline.com. The site is excellent when looking up rail times on the UK domestic network, but it becomes very expensive when actually buying tickets. And trying to retrieve a pre-purchased ticket from a self-service machine at the departure station is far from easy. The price asked by thetrainline.com is the same as at a ticket office. You do save the time spent actually getting in queue and dealing with a transaction. However there is a £1 booking cost, and if charged to a credit card, a £3.50 fee. All you get is a receipt and not the actual ticket. The station machines cannot read a bar code. The real problem starts at the self-service equipment that should produce your rail authority! Type in the transaction reference, laid out very clearly on your email receipt and nothing happens. Try again and the last two figures are not accepted. “Having read your item "Ryanair Cash Passport" I looked at the Ryanair website. "Fares don't include optional Fees/Charges". "CLICK HERE TO SEE HOW TO AVOID PAYING OPTIONAL FEES." Imagine my surprise when clicking that to receive the message "This web page is not available"
As of late Sunday evening (16 October) that was still the case! Amongst the post (well email in truth) this week was a letter from a former airline Chief Executive, someone you know well, saying that he too had acquired the items, his wife responsible, telling the crew that her husband's operation was thinking of doing something similar (that was what he said!). Now clearly Virgin Atlantic does not have the marketing budget of some Middle East carriers, who, within their balance sheet can sponsor football teams, the gateway to Heathrow, Newcastle Airport's control tower, and even a cable car across the Thames (just to note a few examples). I do not know the cost of a salt and pepper pot set, nor the number of Upper Class passengers carried by Virgin Atlantic in a typical year, but to buy them in bulk (presumably from China – and you can fly them back to London for free) cannot be much per unit. Can I said suggest that you retain the items, even a mark two version, as a promotional item. Sell them on board at the back end. It is certainly cheaper than, say, Virgin sponsoring the London Olympic Stadium. Yours truly would be delighted to be the recipient of a revised edition. In Upper Class of course! 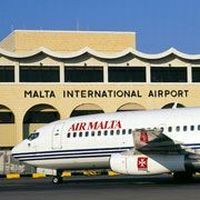 Passengers on Air Malta should note that the airline is changing its check-in closure times from 1 November 2011, for the most part reducing the waiting time at the airport. At Gatwick, Heathrow, Manchester and Rome Fiumicino, airports will close 45 minutes prior to the scheduled time of departure. Check-in counters at Tel Aviv Airport close 60 minutes beforehand. These new timings apply for both Club and Economy Class passengers. The aircraft leasing industry is now a well-established and profitable business, with over 150 aircraft lessors leasing well over half of the world’s commercial jet population. (see also above Aviation Club). The Cumberland Hotel, Marble Arch, London, is the venue for what is termed “An Aviation Investors Summit, 1-2 December, organised by Everest Events who are very experienced in this sector. 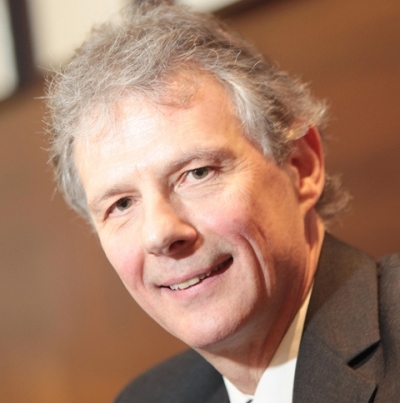 Speakers include Barrie Humphries of the British Air Transport Association, Randy Tinseth, Boeing’s marketing guru, and Aoife O’Sullivan, of Gates and Partners the specialist aviation lawyers, plus a whole host of leasing companies and bankers. APG Global Associates has been appointed UK and Ireland general sales agency for Olympic Air. The airline has no services out of Heathrow to Athens and there are no immediate plans to do so at this current time. It has however a code share agreement with Aegean Airways departing from Terminal 1 offering a twice daily Airbus A320 series operation. Olympic Air provides 32 domestic destinations in Greece which is more than any other carrier. Olympic Air is now owned by Marfin Investment Group (MIG), the largest business group in south east Europe, active in the fields of transport, tourism, food, healthcare and IT, with more than 56,000 employees and a client base that exceeds 20 million people in 40 countries. Spain is to host another budget airline, this one called ‘Iberia Express’. 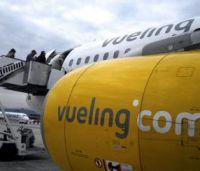 Owner Iberia already has a 46% stake in carrier Vueling (itself dating back in its present form to 2009, part of a reverse take-over from Clickair) but has no day to day management involvement in the operator. ‘Iberia Express’ will begin operations in summer 2012, initially with four former Iberia Airbus A320 aircraft, reaching 13 by the end of the year. “The creation of Iberia Express will not affect the terms and conditions of employment of current employees of Iberia, and will not change the ongoing collaboration with Vueling and Air Nostrum,” said Iberia Chairman Antonio Vázquez, who is also Chairman of Iberia’s owner IAG. Air Nostrum is independent. 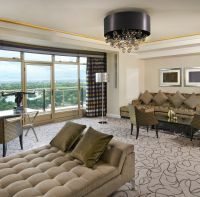 The Penthouse suite on the 26th floor of the London Hilton on Park Lane has undergone a half million pound refurbishment. Interior designer, Lynne Hunt, was tasked with revamping the luxurious Penthouse Suite that includes a double master bedroom, a dining room for eight people, a lounge with views over Hyde Park, a state-of-the-art bathroom and very spacious connecting room, which turns into a top end two-guest room suite. To complete the upgrade, the hotel is also introducing an optional butler service available to guests staying in the Penthouse Suite. The contemporary suite has many stylish and unique features including an electric flame fire in the living room. The master bathroom boasts a TV in the mirror, as well as a Jacuzzi bath and steam shower. But, one of the real highlights is the unrivalled views over Hyde Park, Mayfair and Buckingham Palace from the comfort of a private balcony. Starting at around £2,800 a night, the suite has already proved to be extremely popular amongst Middle Eastern, Chinese, British and American guests. The islands of St Vincent and the Grenadines (Constituency a monarchy with HM The Queen as the Head of State) is to build a major airport capable of taking both Airbus A380 and Boeing 747. The US$250m project is the single largest ever investment for the archipelago of 32 islands with funds sourced from a diverse range of governments including Cuba, Venezuela, Taiwan – which is paying for the terminal – Trinidad, Qatar, Malaysia and Iran. The current gateway airport is limited to Airbus A320 series and Boeing 737 size. Gulf Air, the national carrier of the Kingdom of Bahrain, has taken delivery of an Airbus A330-200 aircraft retrofitted with Panasonic's Global Communications Suite. The comprehensive communications and entertainment solution, ‘Sky Hub’, offers passengers onboard full broadband connectivity to access internet, mobile phone services and, for the first time in the world, a global, live television service onboard. The kit is being installed across Gulf Air’s entire fleet of aircraft progressively. Using the suite Gulf Air will offer two-way broadband connectivity at speeds of up to 50 Mbps to the aircraft, enabling faster browsing, chatting and other internet-based services. Gulf Air will offer live, uninterrupted television services on routes across Europe, the Middle East and Asia. This is a new feature for AERBT, which will probably alienate one or two airlines who prefer to keep bad news under wraps. Flights axed from the start of the winter season at the end of October include Adria from Gatwick to Ljubljana; Flybe Belfast City to Doncaster and Liverpool; Czech Airlines from Bratislava to Barcelona, Brussels and Rome. 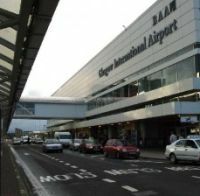 Galway Airport, north of Shannon in the west of Ireland, will effectively close as a scheduled service airport from 1 November 2011, at least until the beginning of the summer season in April. Out goes Aer Arann services to and from Edinburgh, Luton, Manchester, Southend and Waterford. For the first time ever Oxford Airport is to host quasi-scheduled flights to Dublin and is marketing a connection to New York. The airport has an ideal position just a few minutes’ drive from the M40 and well located for the whole of the Cotswolds. 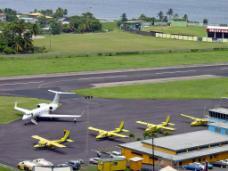 Parking is very simple and the terminal is that normally only used for executive flights. Passengers can select to spend a five-day trip in the Emerald Isle’s capital city, or choose to fly onwards to New York and enjoy shopping for Christmas in the Big Apple. These exclusive one-off trips will depart on Wednesday 7 December returning on Monday 12 December. The special packages have been organized by local Oxford tour operator World of Experience Tours which has teamed up with CityJet and Aer Lingus to provide the groundbreaking new service. The Competition Commission has ordered BAA to begin the process of selling one of its Scottish airports, bringing forward an auction first ordered two-and-a-half years ago. 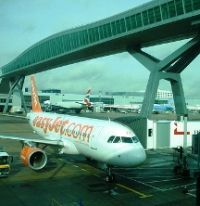 The sale of either Glasgow or Edinburgh will now precede any possible disposal of Stansted, leaving BAA with five airports: Heathrow, Stansted, Southampton, Aberdeen, and one other. Which of the two it decides to dispose of is still not known although most industry experts expect it to be Glasgow which has lagged behind in terms of passenger numbers in recent years. Parking at Heathrow Terminal 5 has been revolutionised with the introduction of a “pod” transport between the short-term business car park and the main building. On trial since April the automatic system is now fully operational and transports passengers in just five minutes. The travel is free, part of the £26 per day parking charge. Each unit (pod) can take four passengers and their luggage. There is space for a wheelchair and guide dogs are permitted. Also room for a bike. 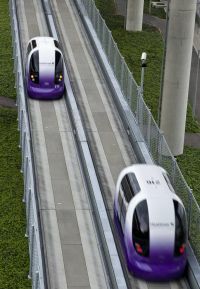 At the present time up to 1,000 persons a day are using the system (including those taking a return ride from the terminal as a tester) but this is expected to settle down with 250,000 annual passengers a realistic target. easyJet, has confirmed the addition of a new service from Gatwick to the Greek Island of Kefalonia, bringing its total number of destinations from the airport to 93. The new three times weekly service will operate from 28 April to the end of October 2012, providing passengers from Gatwick with an even wider choice of affordable destinations to choose from next summer. Qatar Airways has ventured further into Northern Europe with the launch of scheduled flights to Norway. Oslo, the capital of one of the top oil nations in the world, becomes Qatar Airways third Scandinavian gateway after Stockholm and Copenhagen, further cementing the carrier’s presence in the Nordic countries. Oslo becomes destination number 107 in the airline’s global route map and the 27th city served by Qatar Airways in Europe, a continent now representing 25% of the airline’s international reach. With this new service many popular destinations via Doha are available, including Bali, Bangkok, Colombo, Delhi, Dubai, Hong Kong, Kuala Lumpur, Manila, Melbourne, Shanghai and Singapore. The facilities at the Qatar Airways hub have been specifically designed with connecting traffic in mind. 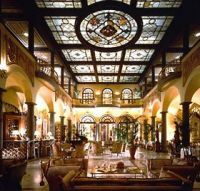 Florence, perhaps the prettiest of all Italian cities, and certainly the easiest to get around, has witnessed the the opening of the the St Regis hotel, formerly The Grand. The property has undergone a meticulous 10-month restoration to bring the property back to its historical grandeur and artistic heritage. Originally designed in 1432 by Filippo Brunelleschi, the architect of the Duomo Santa Maria del Fiore, the Grand Hotel was the first luxury hotel in Florence and is considered to be one of the most significant buildings in the city for its artistic and historical value. The St Regis Florence features 81 luxuriously appointed guest rooms and 19 suites, including a spectacular designer suite by Bottega Veneta. Reflecting Florence's rich artistic heritage, all the hotel's guest rooms feature individually hand carved gold leaf plaques including one of three different colour palettes – Medici, Florentine and Renaissance – with each concept offering a unique selection of custom-designed furniture, paintings, frescos and crystal chandeliers. In honour of Florence and its traditions, every guest room and suite is named after noted Italian artists, benefactors and nobility.